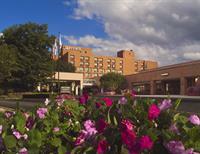 Boston Marriott Burlington | Hotels - Burlington Area Chamber of Commerce ? Whether you're traveling for business or pleasure, the Boston Marriott Burlington has everything you need to enjoy a comfortable and relaxing trip to the New England area. Stay at one of the most convenient hotels North Shore Boston has to offer and book our Boston vacation packages and discover all that the Boston Marriott Burlington has for you.